We are constantly asked by many brides and grooms to recommend, not just, great wedding venues in Perth to hold their The Celebrant Perth classically elegant wedding ceremony, but rather, premium and exclusive wedding venues that are premium in every respect respect of the word. 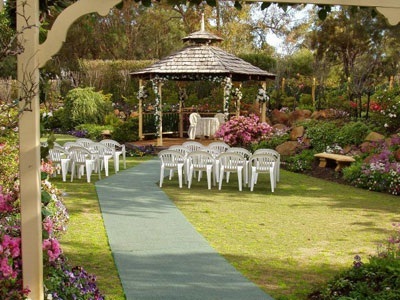 Perth wedding venues that take as much pride and care to ensure that your wedding ceremony is a fairytale wedding, as we do. So as a service to our current and future couples, please find below a selection of exclusive and premium wedding ceremony venues in Perth, Western Australia that we would highly recommend. The historic property of Belvoir is located in the beautiful Swan Valley at the base of the Darling Ranges, 30 minutes from the CBD. 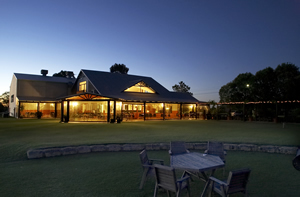 The Belvoir Homestead is a uniquely private, first class function centre complemented by stunning views along the Swan River and across rolling hills. 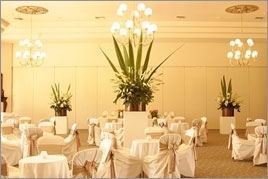 Our rooms can cater for a cocktail party of 40 guests to a sit down dinner of 500. We have a variety of function rooms, each one with its perfect natural setting; The Shaw Room, The Loton Room, The Homestead Dining Room and The Atrium. The Hidden Gardens is the premium wedding ceremony area. It may be booked by bride and grooms having their reception in the House. The perfect wedding begins with the perfect ceremony. 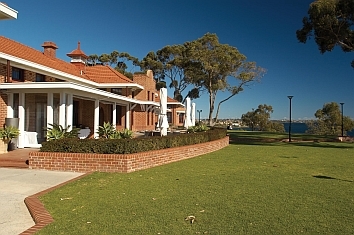 Joondalup Resort provides three ideal picturesque locations all with views overlooking our lake and lush fairways. Wedding ceremony times depend upon availability. Set amongst beautiful vineyards on the banks of the Swan River, Mandoon Estate is Swan Valley’s newest winery offering a purpose-built wedding venue, perfect for your special day. Mandoon Estates modern pillar less function centre offers floor to ceiling glass with uninterrupted views of the river and is the perfect canvas to create your dream wedding look. With an exclusive outdoor deck overlooking the lawns, ideal for pre-dinner drinks we offer a stunning venue that will be simply unforgettable. 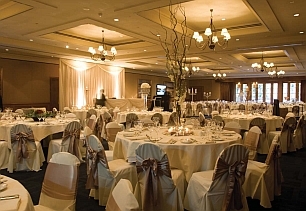 Featuring four specific function rooms, two featuring bridal suites, Mulberry on Swan can cater for any reception guest numbers. With manicured gardens and sprawling green lawns that roll right to the edge of the Swan River, Mulberry on Swan is the ideal venue for garden ceremonies and wedding photos. Beautiful lawns and hectares of vines surround Oakover Wines restaurant and cellar door.You can also have your ceremony on the Oakover grounds free of charge when you book your reception in the Oakover Wines restaurant. Oakover Wines is the perfect setting for you special day. Oakover Wines have a range of different packages: canapes, buffet and set menus.At Oakover Wines you can dine inside the restaurant or outside on the verandah area overlooking the Oakover Wines lake which is alive with an abundance of bird life. Located in the Swan Valley, 25 minutes from the city. RiverBank boasts outstanding vineyard views, a selection of premium Estate produced wines, experienced staff, and menus created by our Executive Chef using the freshest seasonal and organic produce. RiverBank Estate is the ideal venue to make your wedding celebration a truly memorable occasion. 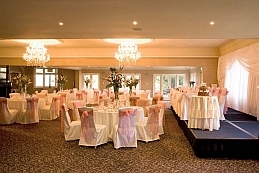 RiverBank Estate is available for your wedding reception with evening functions to commence from 6pm. Ceremonies are also held at RiverBank Estate but conditions apply. Beautiful garden settings, incomparable service and a stunning scenic location combine to make Sandalford Wines in the Swan Valley, Caversham the perfect choice for your day of a lifetime. Sandalford Wines caters for every style of wedding, ranging from intimate cocktails, delicious luncheon buffets to formal dinners. 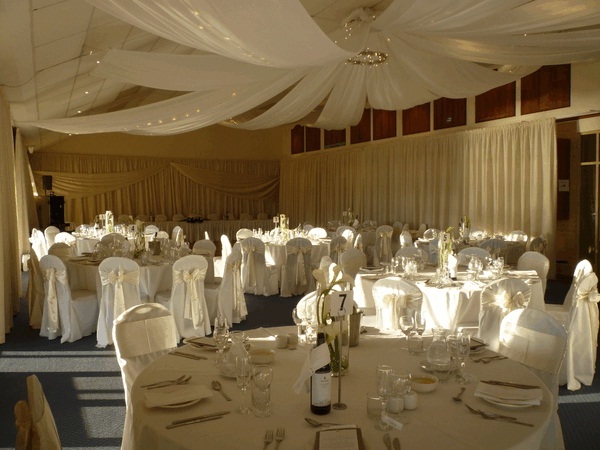 An extensive range of luxury function facilities caters for weddings of 30 guests to 250 guests, complemented by Sandalford's award winning food, wine and service. 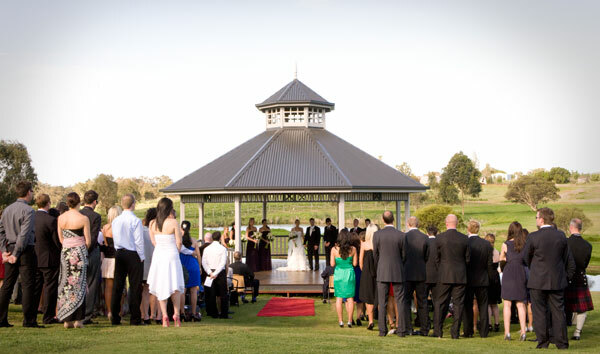 In its picturesque setting nestled among the vines in the historic Swan Valley just 30 minutes from Perth, Sittella Winery provides the ideal venue for your wedding. Architectural inspiration has combined artistic qualities and practical spaces in a rustic, yet elegant earth-rendered winery with capacity to cater for receptions of up to 150 people. A menu of delights created by our head chef and complemented by our award winning range of wines, all crafted on the premises, will ensure you and your guests have a time to remember. Settled in amongst the picturesque Swan Valley, and conveniently located only 35 minutes from Perth, The Vines Resort & Country Club is the perfect romantic location for your wedding day. Burswood on Swan is a magical location for weddings and offers facilities designed to ensure your day is one you will never forget. With the backdrop of the Swan River this is a venue that will impress. Nestled between the Burswood Resort Casino and the Swan river, Burswood on Swan is one of Perth's best kept secrets. This magnificent waterfront venue offers panoramic views of the city, and is perfect for weddings, receptions, corporate events and all other special occasions. Burswood on Swan is just five minutes from the Perth CBD and provides plenty of free on-site parking. The beautifully green surrounds provide an excellent environment for memorable photography. Located on 10 acres of untouched bushland just 20 minutes north of the city & 5 minutes from the freeway, you will be captivated by the ambiance of Bridgeleigh the minute you enter the front gates. If you have always dreamed of a romantic garden ceremony in a cottage garden, then you will be charmed by our cedar shingled gazebos surrounded by fragrant roses & flowers. Follow this with drinks & hors d’oeuvres served to your guests on the rolling lawns while you have your photos taken in either the bushland setting or the gardens brimming with colourful annuals or one of the many features so popular with photographers. 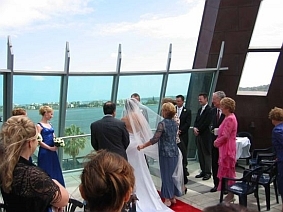 The Bell Tower offers a spectacular setting for your special day - manicured lawns, scenic gardens picturesque fountains and water features situated right on the majestic Swan River and with the city skyline as a backdrop you won't find a more spectacular venue in Perth for your ceremony and reception. There's something old, something new - as well as something magical about holding your wedding at Fremantle's finest wedding venue - Esplanade Hotel Fremantle. Featuring three magnificent venues catering for 50-600 guests, the hotel is a statement in style, with a timeless quality both elegant and beautiful. 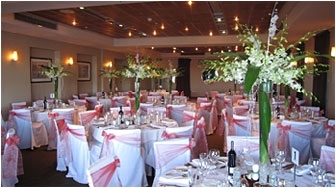 The Esplanade Hotel Fremantle is a specialist at tailoring the complete wedding package to satisfy your needs. Imagine, a beautiful sunset over the majestic Indian Ocean...the perfect backdrop for your very special day. Experience this and more at the Mindarie Marina, Perth's premier oceanside venue. Offering a choice of six stunning reception venues right on the ocean, the Mindarie Marina can cater for weddings seven days a week for breakfast, lunch or dinner, cocktail style or banquet seating. One of Perth's oldest buildings (1877), The Old Brewery combines history with a relaxed, open and contemporary feel, mere meters from the Swan River's edge. Think: regal and old world but fresh and modern; stylish and refined yet warm and inviting. 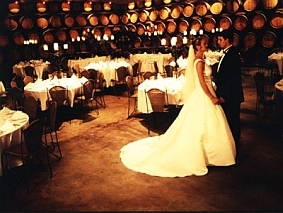 The Old Brewery has hosted many a wedding and has become one of Perth's most loved wedding venues. 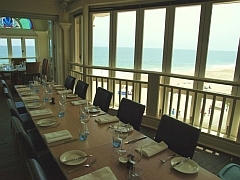 Perth's premier coastal venue, Indiana, is located directly on Cottesloe Beach and seems to rise effortlessly from the beach sand. Indiana offers uninterrupted views from every window, with all areas commanding views of the Indian Ocean and the magnificent sunsets beyond Rottnest Island. If you are seeking a truly memorable beachside wedding, then Indiana is the ultimate wedding venue. Fraser's offers many different spaces for your wedding. Fraser's Restaurant itself can be hired out exclusively for weddings, and the Private Dining Room has hosted many smaller weddings. 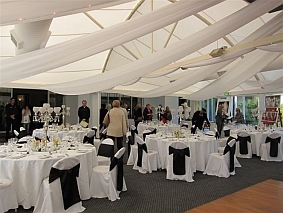 The Kings Park Function Centre can be hired out exclusively or it can be split into two smaller rooms, Room One and Room Two (room two has the timber dance floor). Upstairs is the stunning Observation Deck-Marquee which has 270-degree views of the CBD and Swan River. Hyatt Regency Perth's five star service, well appointed facilities and attention to detail make it the premier choice for wedding receptions. The magnificent Conservatory lobby with its unique sandstone water fountain and impressive glass dome ceiling is the centrepiece of a hotel unrivalled for quality and service. Superb ballrooms and a range of stylish function rooms are complemented by 367 guestrooms and suites, all offering the luxury expected of Hyatt worldwide. Attention to detail is the unmistakable trademark of Perth's finest and most elegant hotel - The Duxton . When it's the most important day of your lives, our 5 star service will ensure nothing spoils the romance. Their attention to detail will ensure that your wedding day will be a truly memorable occasion, not only for yourselves but also for your guests. 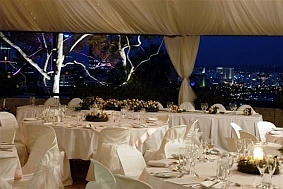 Whether it is an intimate wedding, a large extravaganza or a cocktail style reception, the Duxton Hotel is the perfect choice no matter what type of wedding you are planning. At Crown Perth, they promise to make your most important day the memory of a lifetime. Select from Crown Perth's sophisticated ballrooms and special event rooms, tranquil gardens or sparkling poolside settings overlooking the Swan River. 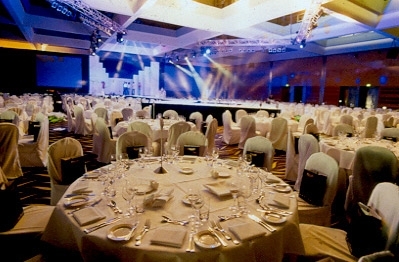 Crown Perth can take you through Crown Perth's beautifully appointed venues and their configurations, making your choice of setting an easy process. 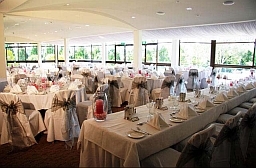 The Bluewater Grill Function Room offers various opportunities for stylish and elegant weddings, and the function room can accommodate up to 100 guests. The beautiful panoramic city views and vast lawns provide perfect opportunities for memorable wedding photos. The Bluewater Private Wine Room is perfect for small and intimate style weddings, whether it be cocktail-style or a sit-down dinner. This rustic yet quaint room has kept its historic charm yet feels at the same time very modern, with contemporary wine racks and furnishings. Rosehill Country Club is comprised of 2 unique and very private wedding venues: Rosehill Lodge - an elegant Manor built in 1923. The Padbury Stables - originally The Stables of the Estate - now an enchanting rustic setting inside complimented by a vine covered Marquee style area outside.Both Rosehill venues have private garden areas for your marriage ceremony and photographs. 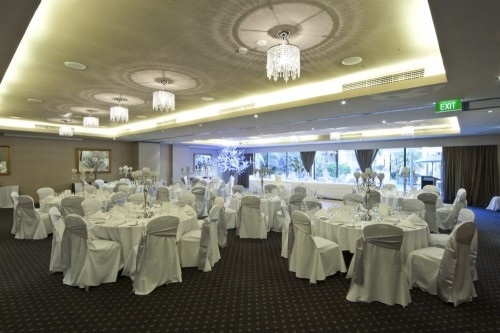 Rosehill represents the best value in Perth.Rosehill's reputation for quality in food and service is the reason choosing Rosehill Lodge for your wedding will guarantee a hassle free day to be remembered fondly forever by both you and your guests. 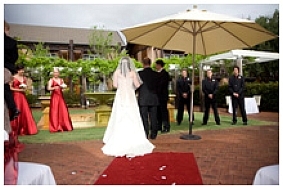 The Celebrant Perth - "Perth's premier wedding celebrant with the Golden tie!"